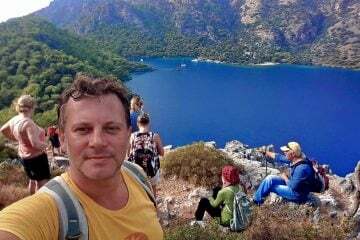 Volkan’s Adventures is a unique company pioneering progressive and exclusive Dalyan Tours in Dalyan, Turkey. We specialize in ‘off the beaten track’ Dalyan tours as well as out to other parts of Turkey. 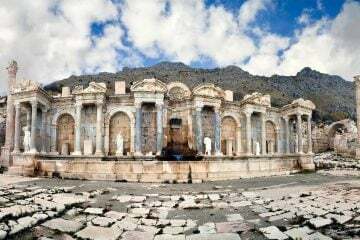 We strive to ensure that all of our guests have an enjoyable and unique adventure with us and discover the beauty of Turkey. Small groups and trips that are not on the tourists’ typical itinerary make every day a special experience. An adventure on one of our magical Dalyan tours will stay in your memory long after you have returned home. Regardless of whether you are a first time visitor or have spent many holidays in Dalyan, our trips will be top of your list of “Things to Do in Dalyan”. We ensure a special day out away from all the tourist hustle and bustle. Discovering travel secrets that locals get to enjoy. 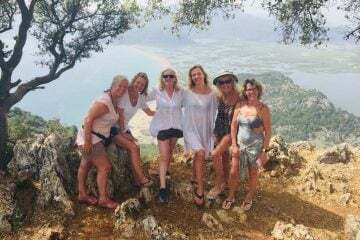 We are a small company that has been formed by a group of friends who are fanatical about Dalyan and Turkey and want to share their experience, all delivered in a relaxed and fun environment. 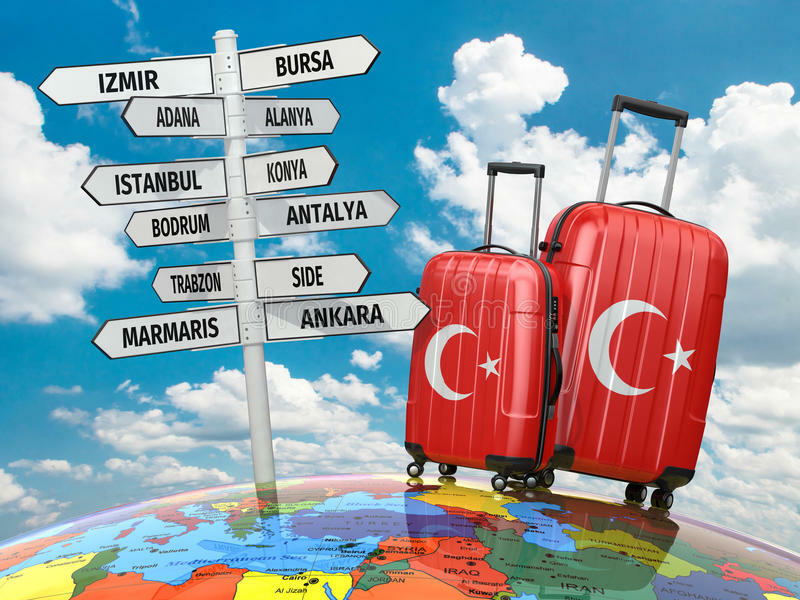 Our friendly team members have extensive knowledge of Dalyan and Turkey, are reliable and multi lingual. 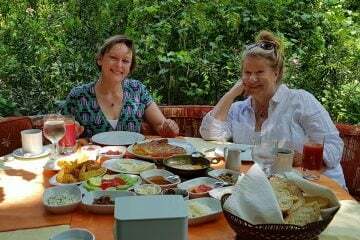 Our aim is to create a different experience; something really exceptional for people who care about making a real connection with the landscape, wildlife, culture, food and the people of Turkey through our exclusive Dalyan Tours. 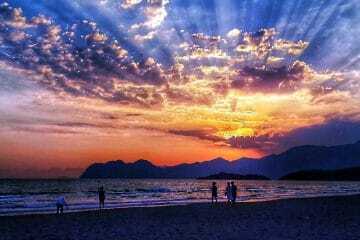 One of the main focuses of our business is to show people a different side to Dalyan and Turkey. We bring you closer to the Turkish culture by showing you how to enjoy it, respect and preserve it. 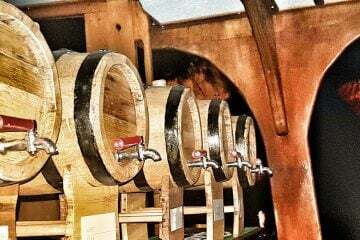 Volkan’s Adventures is about to show you the best of the best in 2019 Summer Season. Not only do we have not one but two brand new boats to go adventuring with you on, as well as a whole host of new tours to share, we will also be inviting you to join us on Volkan’s Escapes, a premium set of specially organised weeks designed to rejuvenate mind and body in ways like never before! As a business, we have always believed in the importance of our relationship with the local villagers. We are passionate about providing you with a great day but also providing the local people with a sustainable income. When we visit a village house we always pay a very fair price for the privilege of being invited. 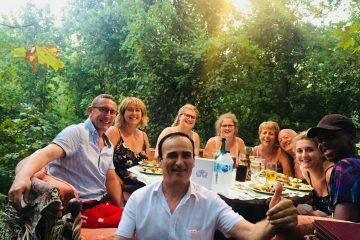 Join us on one of our unique Dalyan tours to make new friends and let us show you the hidden secrets of Dalyan and it’s surrounding areas. Once you have experienced one of our trips we’re sure you will book time and time again. 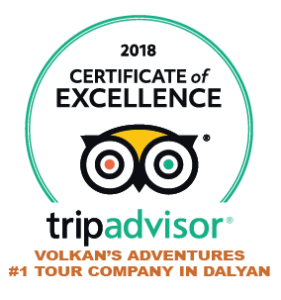 Volkan’s Adventures has had many satisfied customers over the past two years (please look us up on TripAdvisor) In 2018, as our portfolio grows, we aim to make this our best year yet! Nothing we do is dull or ordinary. We arrange distinctive tours and stay away from the tourist hustle and bustle. Small, like minded groups add to your holiday experience. You will discover places only locals get to enjoy. You will tour like a local, eat like a local. You will have the unsurpassed knowledge of a local guide. We give value for your money and your time. Every trip. 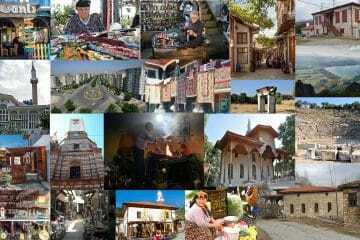 We are passionate about the culture, landscape, history, food and people of Dalyan. Brand new for 2019, Volkan is going right back to where it all began with an adventure so spontaneous even he doesn't know what will happen! Experience all day sailing from Göcek on on board our championship 19 metre Mediterranean wooden gulet. 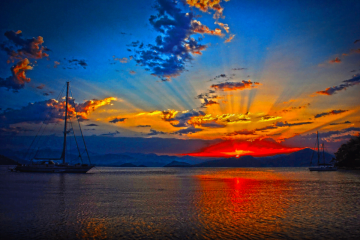 Sail with us far out beyond the 12 Islands for an unrivalled adventure you will never forget. An exclusive to Volkan's Adventures, a must for wildlife lovers. Filled with scenic walks, a boat ride and the Birds Nest restaurant. 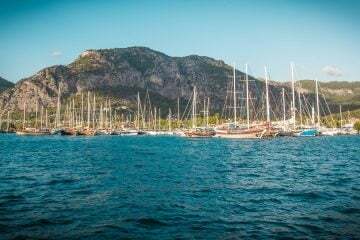 This Dalyan excursion will leave you with unforgettable memories of some of Turkey's favourite resorts. 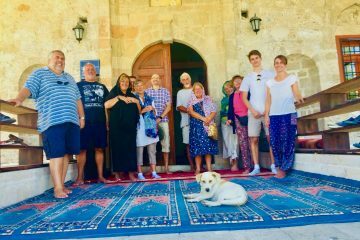 A fascinating insight in to the customs, cultures and history of what goes on behind the walls of the stunning Dalyan Mosque. 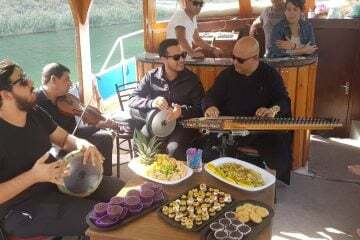 An evening boat trip for an opulent wine tasting tour with unlimited wines from the Dalyan region and further afield, accompanied by perfectly matched meats, seafoods, cheeses and more. 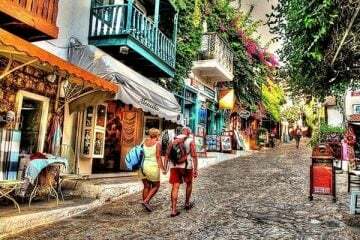 Charming markets, architectrue and bazaars of picturesque Mugla. Join us for the chance to visit a world where time really has stood still. Jimmy’s Island Trip is a wonderful boat journey to a secluded island where you can swim, explore or just relax. Enjoy a BBQ dinner and then musical entertainment from a turkish trio round the campfire. Spend an evening enjoying an amazing evening on our boat. Star gazing, a volcanic lake and secret hot springs are among the highlights. 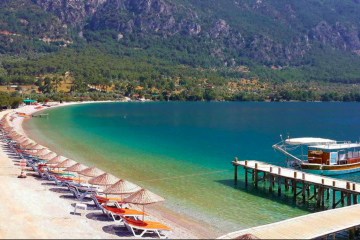 An extraordinary experience; Swim, sunbathe and relax in the most beautiful bays and coves around Dalyan. Discover Dalyan - a unique chance to experience Turkish lifestyle and culture. Delicious food, incredible views and secret places. Discover the most beautiful coves and secluded bays Beyond the 12 Islands on our stunning sailing boat. Max 16 guests. By subscribing, you will receive all the behind the scenes, special offers and updates. We will never spam you.